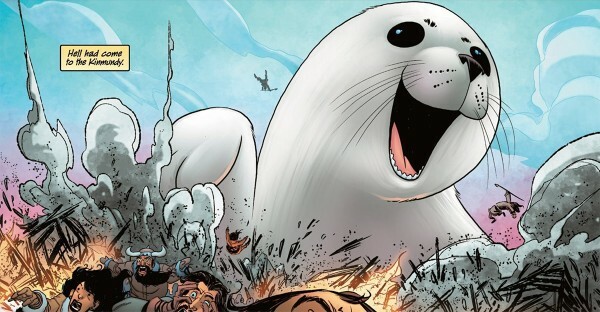 SPECIAL LOW INTRODUCTORY PRICE OF $9.99 From superstar writer and artist SKOTTIE YOUNG (Rocket Raccoon, Wizard of Oz, Fortunately, The Milk), comes the first volume of an allnew series of adventure and mayhem. An Adventure Time/Alice in Wonderland-style epic that smashes its cute little face against grown-up Tank Girl/ Deadpool-esque violent madness. Follow Gert, a forty-year-old woman in a sixyear- old’s body, who has been stuck in the magical world of Fairyland for nearly thirty years. 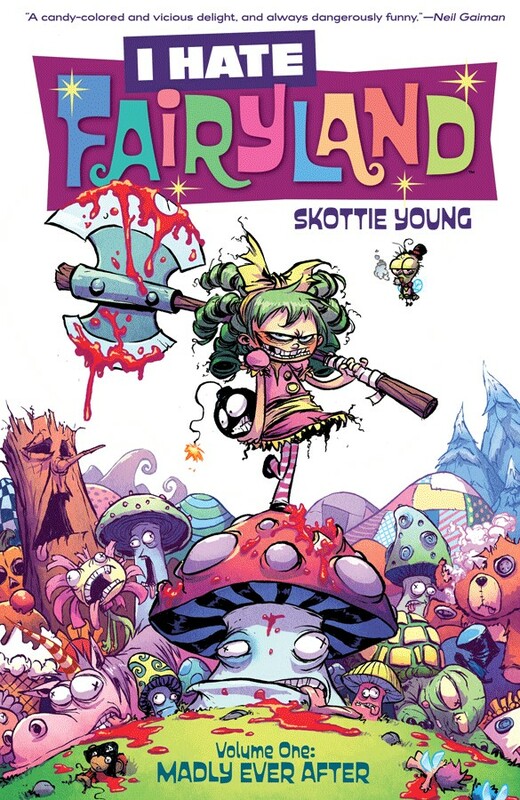 Join her and her giant battleaxe on a delightfully bloodsoaked journey to see who will survive the girl who HATES FAIRYLAND. Collects I HATE FAIRYLAND #1-5.